While I don’t update this blog very frequently, I wanted to mention that our book, Notes From A Public Typewriter, is on sale now! The book is our ode to independent bookstores and the written word: On our lower level, there is a typewriter that anyone can use. Over the years, we’ve gathered notes of love and loss and everything in-between. This book is a collection of our favorite notes, along with essays and photographs. 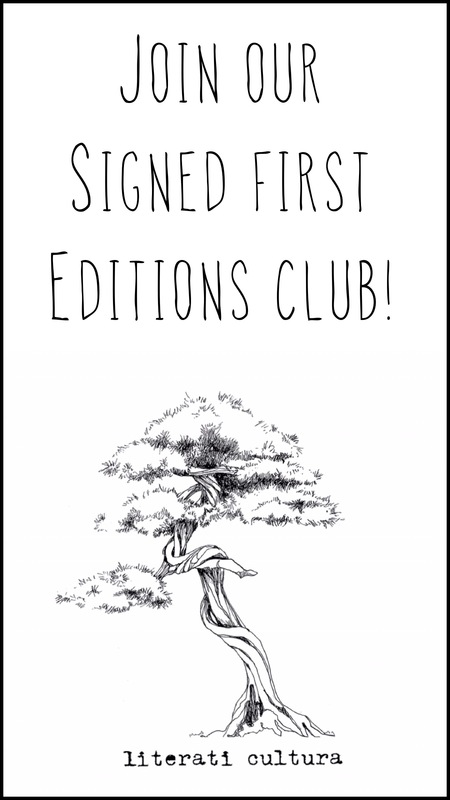 You can buy the book here, at Literati Bookstore’s store page. You can also check out the amazing publicity we’ve had from the book so far, including stories on NPR’s All Things Considered and NBC Nightly News. 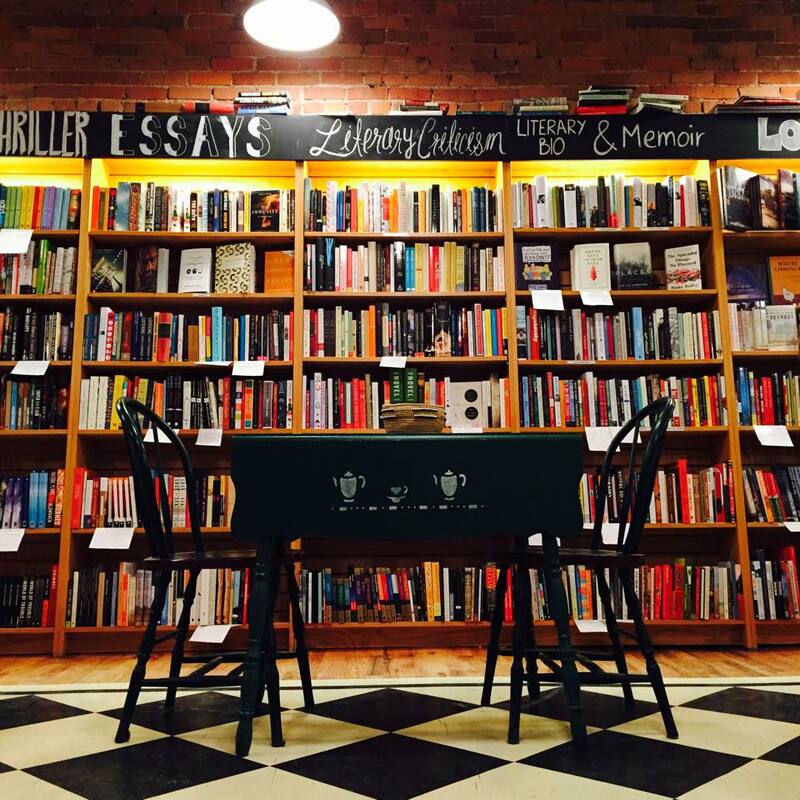 We at Literati Bookstore are proud to present our first-ever podcast, Shelf Talking. Free to listen! Here’s episode one and here’s episode two. Featuring recordings from recent in-store events alongside exclusive interviews and content. Shelf Talking is hosted by bookseller Sam Krowchenko. Subscribe on iTunes here. After weeks of deliberation and internal strife, each of us has selected our favorite hardcover from 2016. Hilary picked Miss Jane, by Brad Watson. Late fall backbirds swept in waves to the oaks at the yard’s edge, and their deafening, squawking, creaking call, the cacophonous tuning of a mad avian symphony, drew the grief-borne anger from her heart into the air, and swept it away in long, almost soothing moments of something like peace.” -Page 51. I read this book many months ago, but it is one I keep revisiting. The language is so beautiful you could pick any one sentence, like the one above, and admire its luminous beauty. But more than just sentence level artistry, this book is quietly proud in its observations of human life. For fans of Marilynne Robinson or Elizabeth Strout, this gorgeous novel will stay with you long after the last page. 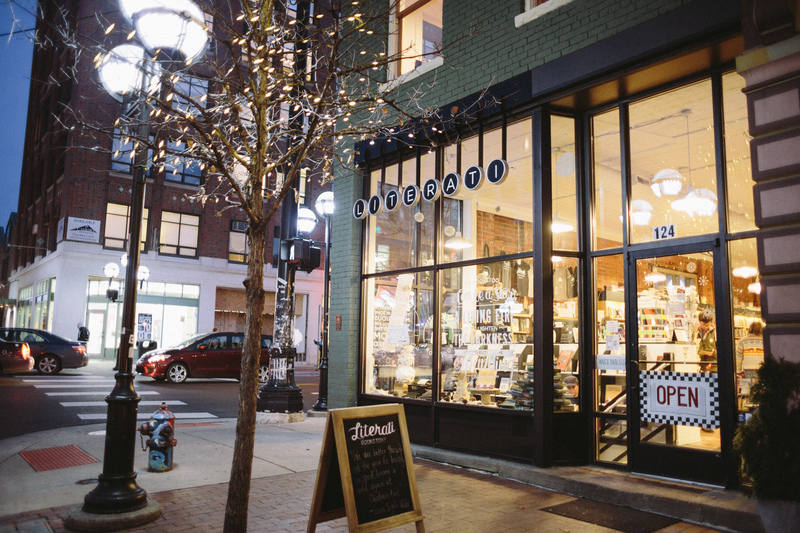 Before we opened our bookstore in downtown Ann Arbor, we wanted to document our journey opening Literati through this blog. Since then, we’ve started a new online publication called The Ribbon. The Ribbon will feature author interviews, exclusive content, a podcast, store announcements, book reviews — and much more. We won’t be posting as much on this wordpress site as before, so I encourage you to check out The Ribbon here. 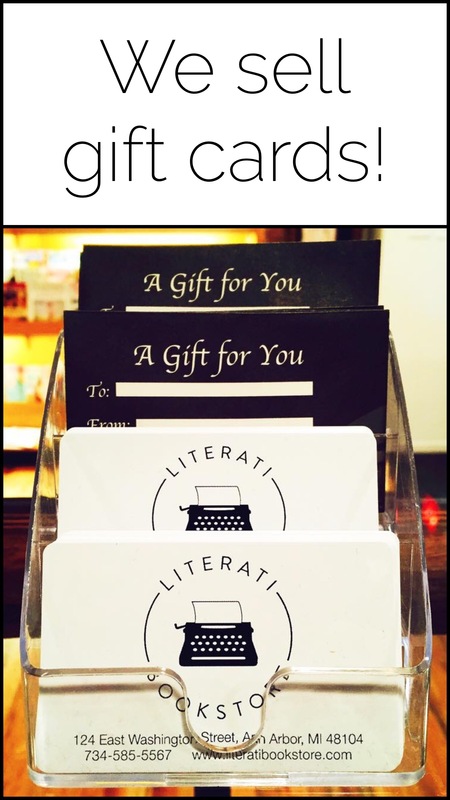 When we first opened Literati Bookstore, surviving the first three years (getting the word out, paying rent, finding time to sleep) seemed like a far-fetched fantasy. To survive and enter that far-off “Year Four” would mean a great number of many things, but especially: We can do this. Since opening in March of 2013, due to the incredible amount of support we’ve had, the store has changed and morphed into something altogether unexpected and wonderful. We’ve expanded our staff from 7 to 17. We’ve expanded our space from 2600 to almost 4,000 square feet. We’ve hit personal and professional mile-markers, and we’ve had to re-invent our tiny little wheel again and again. Now, we realize that not only “we can do this,” but we can grow beyond what we once thought possible. Now, we’re trying to figure out how we can be downtown not only for another three years, but for the next 30. The Literati blog has been quiet for a couple of weeks in celebration of a birthday: I’m writing this with my newborn son napping against my clavicle. Every ordinary process–the grocery store, a shower, writing–is revised. Delightfully so, but with a certain deliberateness. For example: he just spit up, and much of this post was typed initially with one slow left hand. Baby dude’s a tiny springtime animal who tucks his soft feet beneath his rump in a tidy plié, a baby rabbit, perhaps. When he’s hungry, which is often, I think of him as a benignly ferocious little lion. In her forthcoming book Little Labors, Rivka Galchen describes a newborn baby as a “puma.” Reading the book while enormously pregnant, Galchen’s comparison struck me as particularly apt, even more so after I met my child, a magnetic, bright force, bright and magnetic as the appearance of an exotic animal, and someone who, like any new life, who defies prior expectations. Each day, unfolding like a rosebud and growling. Today opening his eyes more than yesterday, tiny face rounder than last week, now sleeping in luxurious two or even three-hour chunks of time instead of the 40 minutes or so he’d snooze between declarations of hunger in his first days of life. Later on in Galchen’s book, the baby, slightly older, is a chicken. I can only guess what kind of chicken my child will be. 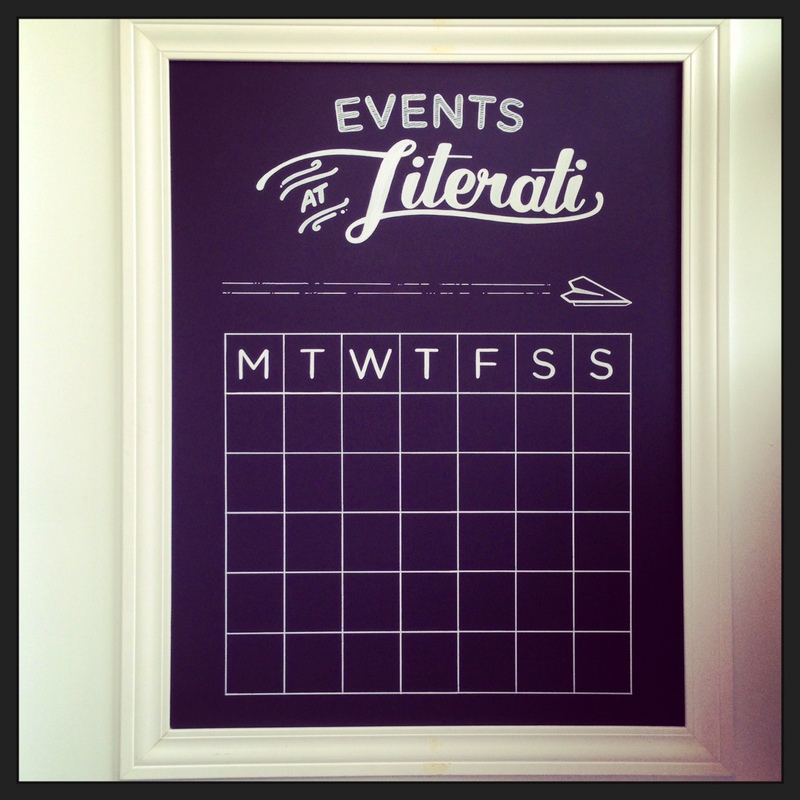 March is also the birthday of another springtime animal, Literati Bookstore. I remember anticipating the bookstore’s opening at the end of winter, 2013, walking down Washington past the green brick building. This is going to be so good! I had arrived in Ann Arbor in the last week of Borders, and about a year after the close of Shaman Drum. We didn’t have a general interest, literary-themed bookstore stocking new books in downtown Ann Arbor, and we needed one. So, of course I was correct–this is going to be so good, I thought, and, indeed, it is. But it was impossible to imagine the community of devoted customers and staff who would fill the store, and the individual kindnesses of these people, the charge in the air at packed readings in our event space, the writers who would launch their books here, bookseller Kelsey getting engaged inside these walls, or the bon mots our public typewriter would generate, which we would eventually paint on the side of the building. I mean, we all know this, but: the synopsis of the book before it’s out in the world has nothing on the experience of reading the dang thing page by page. Co-Owner Mike wrote a beautiful letter to our customers in this month’s Events Newsletter, reflecting on three years of Literati, and remembering a job he had when he lived in New York, teaching tiny swimmers how to float. These past three years have been a step-by-step process similar to those swimmers of mine learning to float: First, bubbles (sign the lease, get the loan). Then, immerse the nose, cheeks, maybe a watery goggle or two (surround yourself with the best possible employees, partner with The Espresso Bar, curate books as best you can). Learn to be comfortable, hold one’s breath, reach, kick, flutter, and stick the whole head underwater, aware of that nearby wall (expand sections, build inventory, smooth out logistics, pay down loan). And eventually, you scoop your hands and put your face all the way in. Lastly, you take a big breath, stare down the unchartered territory, push off, and swim. Airea D. Matthews is a 2015 Kresge Literary Arts Fellow. She is currently the Assistant Director of the Helen Zell Writers’ Program at University of Michigan, Ann Arbor, where she earned her MFA, and the Executive Editor of The Offing, a channel of the Los Angeles Review of Books. Her poems have appeared in Best American Poetry 2015, edited by Sherman Alexie, American Poet, Four Way Review, The Missouri Review, The Baffler, Callaloo, Indiana Review, WSQ and elsewhere. Matthews’ fiction and essays have appeared in SLAB, Michigan Quarterly Review and Vida: Her Kind. Her performance work has been featured at the Cannes Lions Festival, PBS’ RoadTrip Nation and NPR. A Cave Canem and Callaloo fellow, Matthews lives in Detroit with her husband and their four children. Follow her on Twitter @aireadee. The poem was chosen for The 2015 Best American Poetry Anthology. When I heard her read it aloud for the first time, I’d moved to Michigan a couple of weeks prior, and knew Dee only as an acquaintance, a member of my grad school cohort, a friendly face. Listening to her words that night years ago, my heart raced; I wanted to know her. I’m so grateful, that over the next few years, I became close to the poet and to the work, my admiration for her expanding all the time. And here she is, texting as Anne Sexton, and tweeting as the Greek Pantheon. To your beautiful work, Airea D., and this most deserved prize! p.s. Airea D. Matthews will be giving a craft talk on June 18th, 2016, in Ann Arbor, as part of the Ann Arbor Book Festival’s 2016 Writers’ Conference. We’ll be selling books in the back and taking notes on her magic.